Seven persons P, Q, R, S, T, U and V are sitting in a straight row and all of them are facing south. They all are like different currencies viz., Franc, Yen, Euro, Dollar, Rupee, Yuan and Dinar but not necessary in the same order. Only two persons are sitting between the one who likes Dinar and R. R sits third from the either ends of the row. The one who likes Dollar sits second to the right of T. T is not an immediate neighbour of R. As many persons sitting to the right of T is same as the persons sitting to the left of the one who likes Yen. The one who likes Yuan sits immediate left of V. Three persons are sitting between V and Q. V does not like Dinar. Only one person sits between the one who likes Yen and the one who likes Euro. As many persons sitting between Q and the one who likes Rupee is same as between S and the one who likes Yen. S does not like Dollar. Neither P nor U is an immediate neighbour of the one who likes Dollar. U does not like Rupee. .
1. V likes which of the following currencies? Only two persons are sitting between the one who likes Dinar and R. R sits third from the either ends of the row. The one who likes Dollar sits second to the right of T. T is not an immediate neighbour of R. As many persons sitting to the right of T is same as the persons sitting to the left of the one who likes Yen. The one who likes Yuan sits immediate left of V. Three persons are sitting between V and Q. V does not like Dinar. Only one person sits between the one who likes Yen and the one who likes Euro. As many persons sitting between Q and the one who likes Rupee is same as between S and the one who likes Yen. S does not like Dollar. Neither P nor U is an immediate neighbour of the one who likes Dollar. U does not like Rupee. 2. How many persons are sitting between S and the one who likes Rupee? 3. If V is related to Dinar and T is related to Yen in a certain way. Then, U is related to which of the following? 5. Who among the following likes Rupee? Direction (6-9): These questions are based on the five three-digit numbers given below. 6. If the position of the first and the second digits in each numbers are interchanged, then which of the following will be the second lowest number? 7. If all the digits in each of the numbers are arranged in descending order within the number from left to right and then the numbers are arranged in ascending order from right to left. Then, which of the following will be the second number from the left end? 9. If one is subtracted from middle digit of each odd number and one is added to the last digit of each even number, what will be the difference between the third highest and the second lowest numbers thus formed? 10. If in the number 5482397106, positions of the first and the second digits are interchanged, positions of the third and fourth digits are interchanged and so on till the positions of 9th and 10th digits are interchanged, then which digit will be fourth from the right end? 1) V likes which of the following currencies? 2) How many persons are sitting between S and the one who likes Rupee? 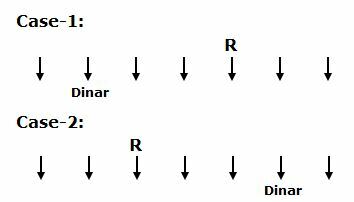 3) If V is related to Dinar and T is related to Yen in a certain way. Then, U is related to which of the following? 5) Who among the following likes Rupee? 6) If the position of the first and the second digits in each numbers are interchanged, then which of the following will be the second lowest number? 7) If all the digits in each of the numbers are arranged in descending order within the number from left to right and then the numbers are arranged in ascending order from right to left. Then, which of the following will be the second number from the left end? 8) What will be the resultant if the second digit of the second highest number is divided by the first digit of the lowest number? 9) If one is subtracted from middle digit of each odd number and one is added to the last digit of each even number, what will be the difference between the third highest and the second lowest numbers thus formed? 10) If in the number 5482397106, positions of the first and the second digits are interchanged, positions of the third and fourth digits are interchanged and so on till the positions of 9th and 10th digits are interchanged, then which digit will be fourth from the right end?